Living in an area that has hard water with lots of minerals in it can make cleaning your house a challenge. The hard water spots are on everything that it touches, like shower stall walls, sink taps and toilets. There are several decalcifying agents that you can use to get rid of the mineral deposits on these items. These are dangerous to use, so most have a child proof cap, and are sealed to prevent leakage in transit. Usually you peel off the plastic covering the top of the container so you can pour it out. Stop! 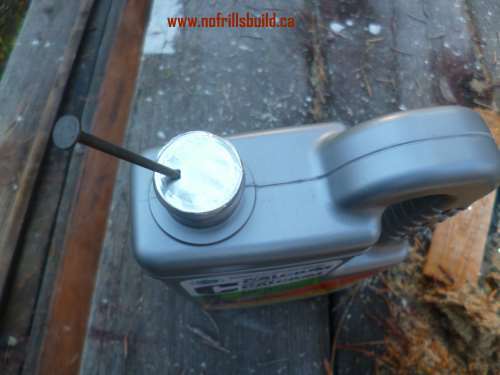 If that's what you do, here's a way to make your container of CLR (which stands for Calcium, Lime and Rust) into a dandy applicator bottle, without touching it or transferring it to another container, risking spills along the way. 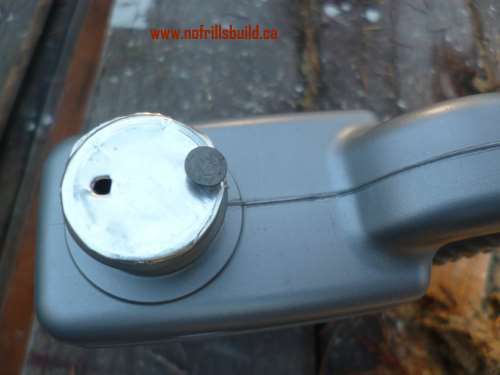 Poke the nail or other sharp object into the bottom half of the sealed lid - this is where liquid will come out when you squeeze the container. 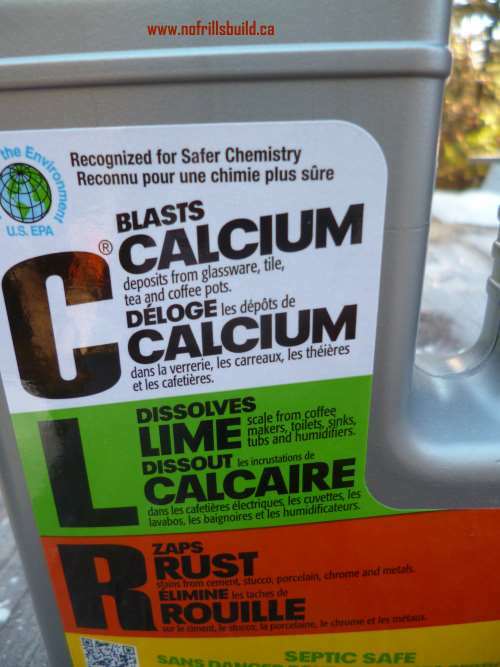 No more wasting your pricey CLR by pouring it into the toilet bowl and hoping it is strong enough to get the calcium build up under the rim with the toilet brush. As soon as it makes contact with water, it becomes pretty much inert, so spraying it on full strength and giving it a chance to work before flushing it is the only way to keep those little holes cleared. The nail is here for demonstration purposes - remove it and pour away! Air will be drawn in so that the bottom hole will let the liquid out in a forceful stream to get into those hard to reach places. 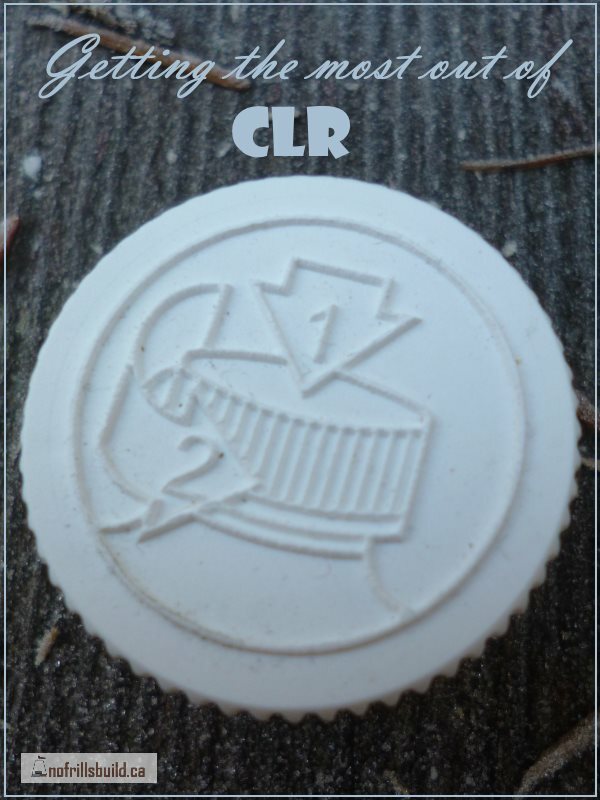 Next time you purchase a cleaner with this kind of lid, give this method a try and see if it works for you.